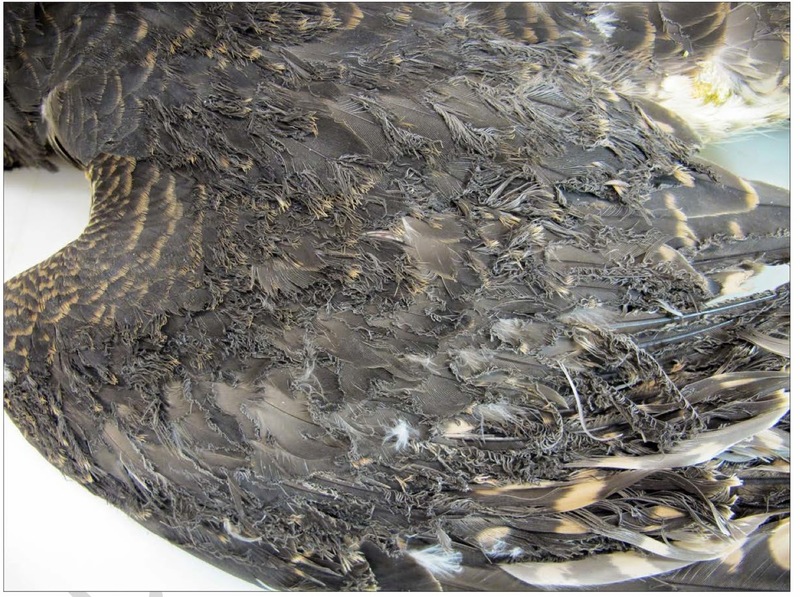 Despite efforts to protect desert habitat in the southwest, major highways criss-crossing the desert are isolating wildlife into smaller pockets and hindering genetic exchange necessary to keep species healthy and resilient. Desert bighorn sheep are not exempt from this impact; they may be agile and swift, but they are no match for several lanes of speeding cars and semi-trucks, and they tend to shy away from culverts that cross under highways. Southern California Edison (SCE) is suggesting that interconnection of Abengoa's Mojave Solar project is the primary reason it needs to build the nearly 75 mile Coolwater-Lugo transmission line through the Lucerne Valley, according to the Daily Press, even though Abengoa told the California Energy Commission (CEC) and Bureau of Land Management (BLM) in 2010 that these transmission lines would not be necessary. Misrepresenting the need for new transmission lines during the CEC and BLM review of the project would have allowed Abengoa to downplay the costs and environmental impacts associated with approving the project. 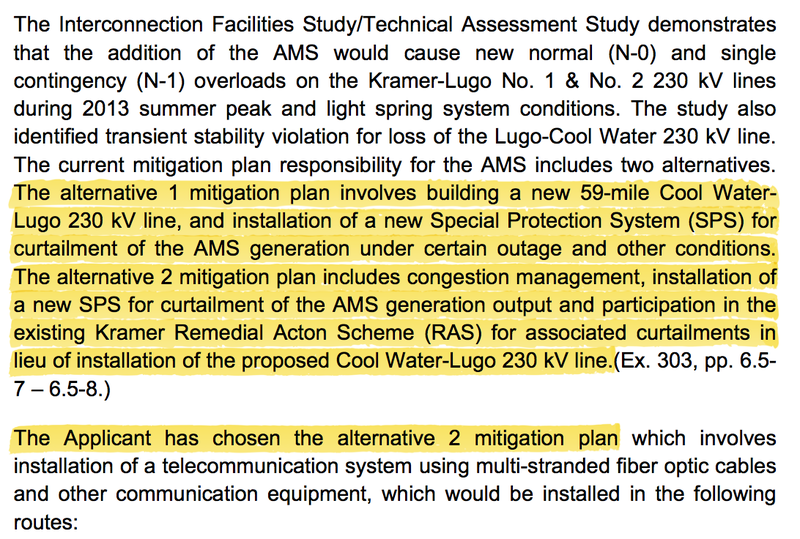 The Coolwater-Lugo transmission line is likely to cost ratepayers at least 509 million dollars, and bring bulldozers and transmission towers to mostly undisturbed desert. First Solar has begun construction on the 2.6 square mile Stateline Solar project - one of the company's two additional solar projects in the Ivanpah Valley - after a judge turned down a request for an injunction by the Defenders of Wildlife. First Solar is also expected to begin bulldozing desert habitat for the Silver State South project, which will destroy over 3.7 square miles of tortoise habitat on the Nevada side of the Ivanpah Valley. 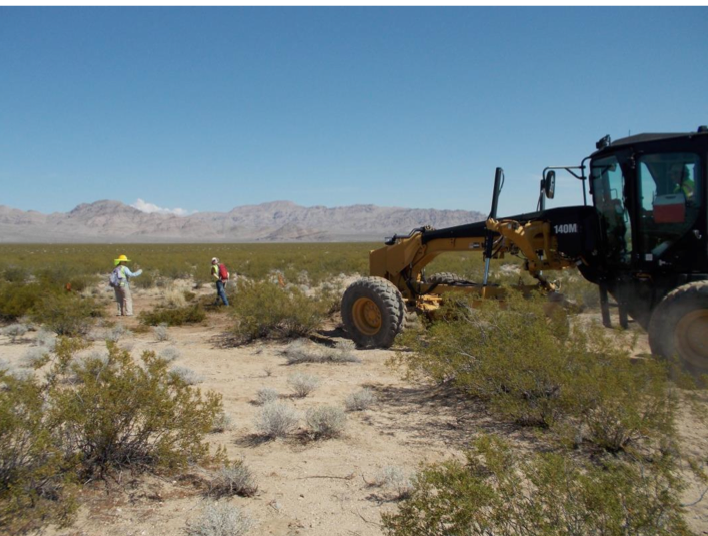 Both projects will destroy some of the best quality desert tortoise habitat in the Mojave Desert and, more insidiously, likely sever a habitat corridor linking separate populations of the tortoise.